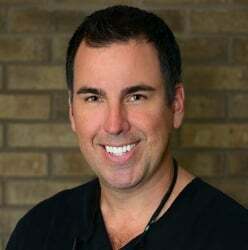 Sarasota Dentistry » Blog » How do Dental Implants work? Dr. Hank and the team here at Sarasota Dental provide dental implants for patients who are wanting to restore their smiles. Dental implants are often used to replace a missing tooth, or multiple missing teeth. Different types of dental implants are used depending on a patient’s needs. There are several types of dental implants — single tooth, multiple tooth, and full arch dental implants, and new dental implant technology is always in development. Dental implant procedures usually require a couple of visits to the dentist. To receive dental implants, you will often need at least two appointments with a waiting period of three to six months in between. In some cases, immediate dental implants, or same-day implants are available, which can provide immediate support for restorations. Visiting with Dr. Hank is the best way to determine which dental implants will be most effective for your needs. Prior to your surgery, digital x-rays will be taken of your jaw and surrounding bones. Using this advanced technology, we can optimize your implant placement, allowing for increased comfort and healing. Some patients may also need a bone graft before their implant surgery, which is used to fortify a weak or soft jawbone. Our patients can enjoy the convenience of undergoing these related procedures on-site. During implant surgery, a small incision is made in the gum, and a pilot hole is drilled into the jawbone. The implant is then screwed into the bone and the gums are stitched together. This process is guided by an advanced computerized technology to ensure precise placement and minimize the risk of complications. Over a period of a few months, the implant will fuse securely with the surrounding bone. During the second appointment, a tiny incision is made in the gum, and an abutment is connected to the implant. This serves as a point of connection for your prosthetic teeth. While the gums heal over the next few weeks, a temporary restoration may be placed while your permanent crown, bridge, or dentures are created. Our restorations are custom-crafted with the newest type of porcelain materials to blend seamlessly with your smile. After the implant procedure is complete, you will still be able to brush and floss normally, and enjoy your favorite foods. If you’ve been struggling with your smile and think dental implants may be an option, get a complete understanding of your dental outlook when you schedule a visit with Dr. Hank Michael and the Sarasota Dentistry team.